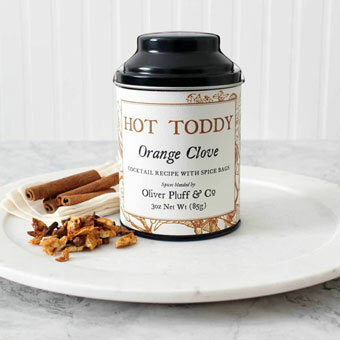 The flavors and smells of Christmas burst forth in this warming hot toddy mix from Olive & Pluff. Easy to prepare, each beautiful tin contains 3 oz. of spices - enough to brew 3 gallons of toddies. Muslin brew bags make it easy to prepare individual toddies. 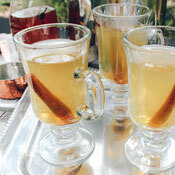 A must-have for cold-weather entertaining, and a unique and memorable gift for the holiday host & hostess!